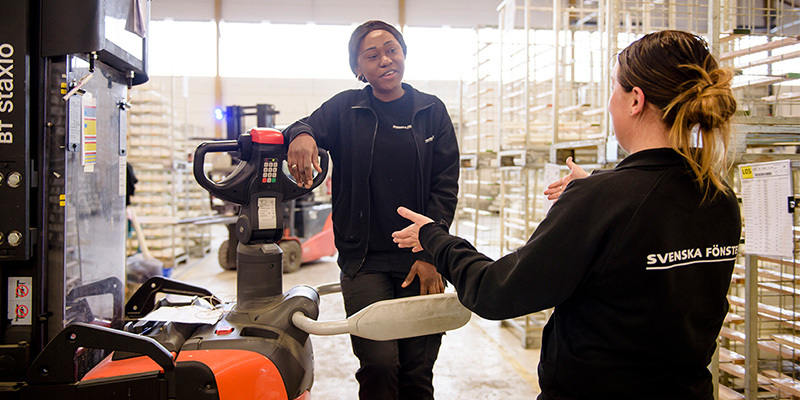 Svenska Fönster is the largest private employer in our area and we aim to be the most attractive. We therefore work actively in several different areas so that employees will find satisfaction both at work and in their free time. 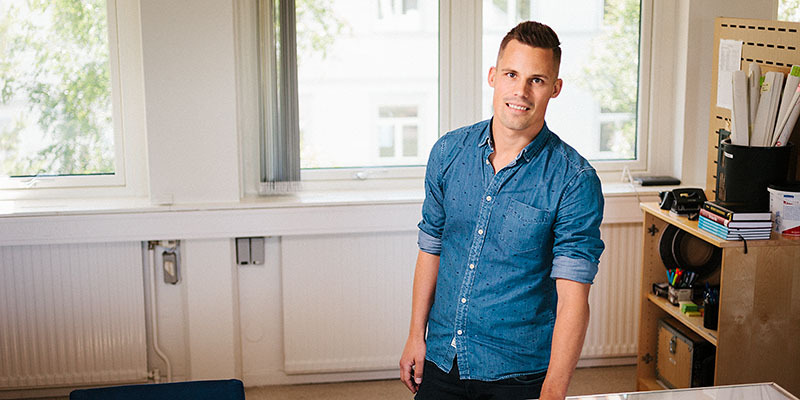 Here are nine strong arguments to work at Svenska Fönster. 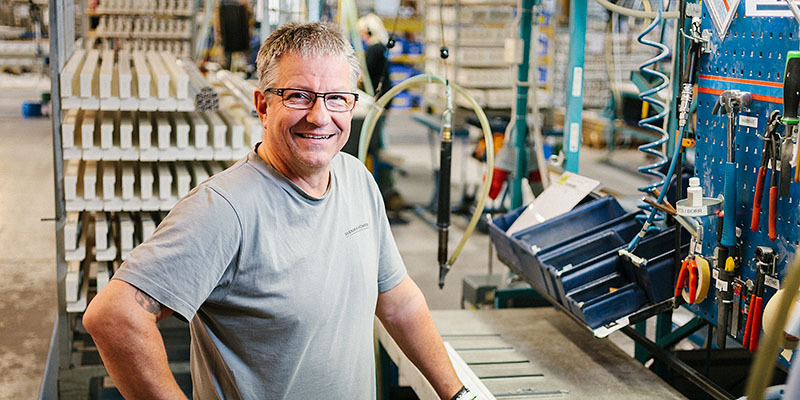 As a leading manufacturer in the window industry we do what we can to create a better world by always thinking in the long-term perspective. Because we work in an area with pure water and fresh air we have an innate love of nature and would never want to pollute it. We invest in environmental issues because we want future generations to also drink clean water and breathe fresh air. 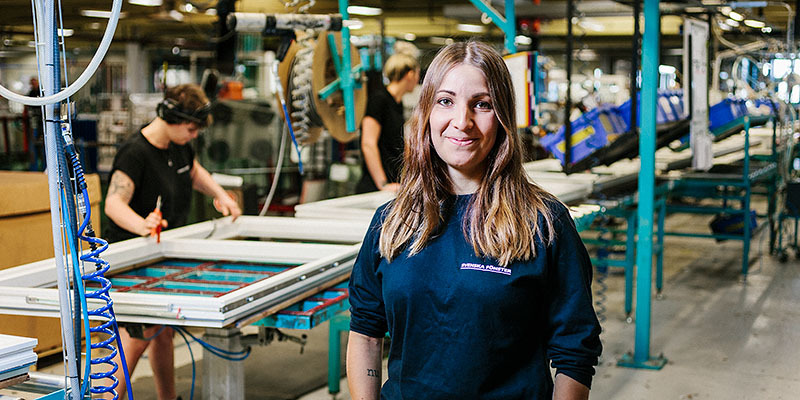 We have a strict environmental policy that covers our entire business and we are proud to be one of the few manufacturers of windows that have the Nordic Swan ecolabel. It’s the people who make up Svenska Fönster and safety always comes first for us. We have zero vision towards accidents and as employees we are always involved with improving our safety procedures. If someone is not feeling well we get a grip on ill health at an early stage together with our industrial health service. It’s important for the company that everyone is satisfied with their work and therefore we put a lot of effort into creating a culture in which self-advancement and job satisfaction are taken for granted. We work in teams here and many of us would contend that the fellowship with our workmates is the best thing about the job. 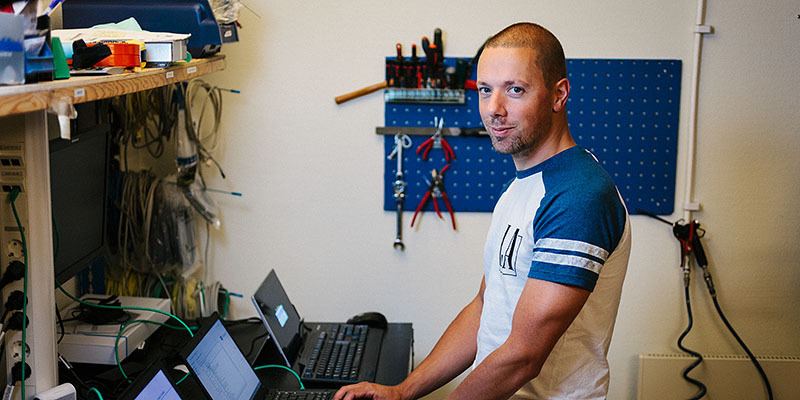 At Svenska Fönster the work with continual improvements is so important that it has its own name and own department – Emendo, which is based on the LEAN strategy. But although this work has its own department it’s up to everyone to be responsible and to take the opportunity to develop and become better. The work with Emendo involves regular improvement forums for all departments and work processes, through which every employee can influence his or her work and the future of the company. At Svenska Fönster there’s a lot of talk about career promotions, probably because we have such a wide range of expertise and a strong belief in the individual. Many of us have come into the production without higher education, for example as a fitter, and then become first man and production leader. Others have gone from the production to work in finance, sales, IT and marketing. We are happy to accept students for traineeships, or for examination work – and the students usually enjoy being here. Several of them have started working here. When it comes to relations with our customers the key words for us are long-term perspective and professionalism. Everyone contributes here to ensure that every business transaction gets done correctly, to create the proud satisfaction our products produce. 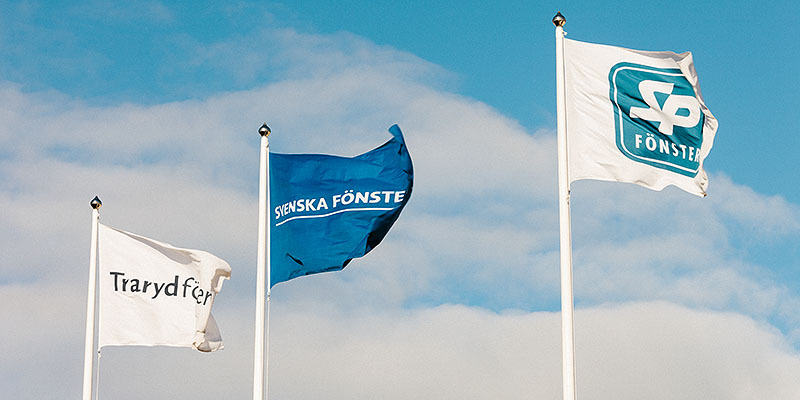 Recently Svenska Fönster has been working on several fronts to get closer to our different groups of customers, for example through new digital functions. 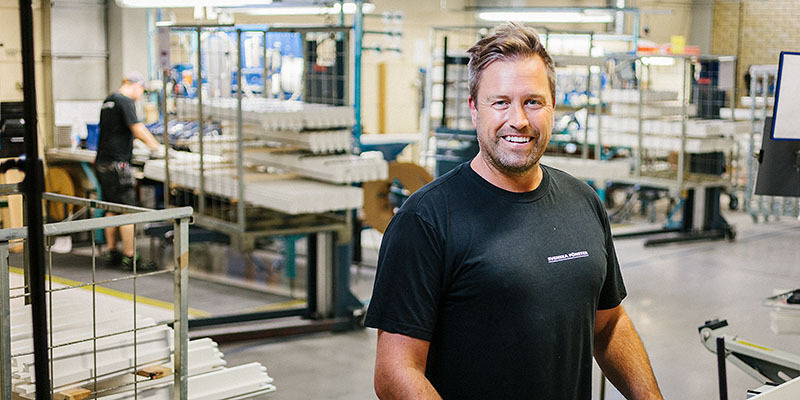 If my workmates are proud of the products they make, they are just as proud to be working for Svenska Fönster. And the management is just as proud of the result in every year’s commitment survey, because the result is higher than the industrial index. But the management is not satisfied. On the basis of each annual survey a couple of focal points are picked out and activities put in motion to further stimulate the interest and commitment of the workforce to their work and the company. In Hälsingland life is easy to live – because here in the middle of Sweden there is everything you could wish for. There are the contrasts between the mountains and the archipelago, between the towns and the countryside. You can feel safe here, people are concerned, there’s a strong social life and vibrant culture. Housing is still cheap here, which means there’s a high standard of living, and to encourage more people to come here the municipal housing company applies a business priority if you move here to work for Svenska Fönster. 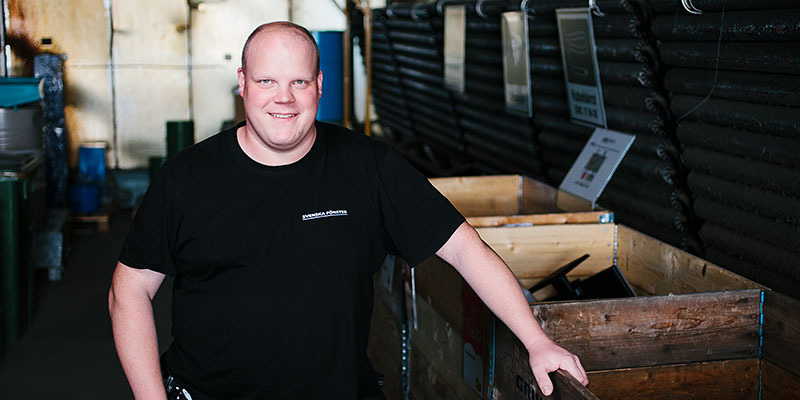 Företagsringen (Business Circle) also arranges removal services. Our factory and head office are in Edsbyn. The sport here is bandy and local people built Sweden’s first bandy arena here. 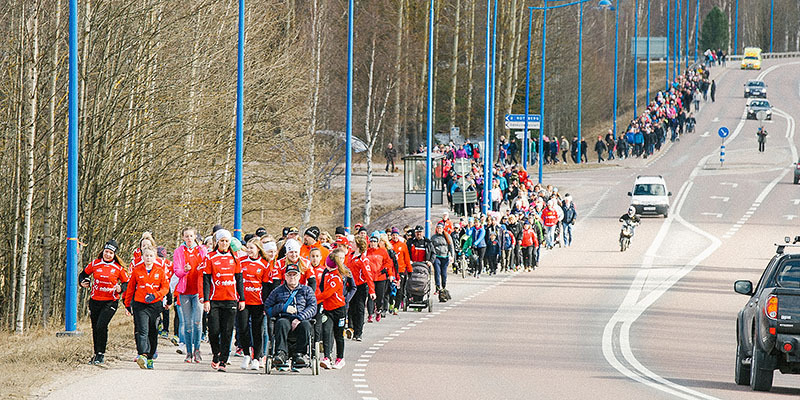 Today Svenska Fönster is the proud sponsor of the arena, and the main sponsor for both Edsbyn Pride and the challenge of preventive health care in the municipality – because we care about people here. We have also made sure that the children in the small boys’ and girls´ bandy team have all the equipment they need, and with the support of our owners in the Danish group VKR arranged for bikes to borrow for the children in the bike park. And a lot more. At Svenska Fönster different personnel groups arrange social and preventive health care activities for their colleagues. One of the goals is that there should be something for everyone. These activities allow us to meet beyond departmental limits and, if we want to, join together to push our limits. Many of the activities take place in conjunction with working hours and afford the opportunity to bring the whole family. And if you want to exercise alone, we have excellent gyms in all three of our factories.